This is set to be one of our shortest management sections. On the HPE MicroServer Gen8, the company had iLO management onboard. That meant a user had access to a full suite of remote management tools. 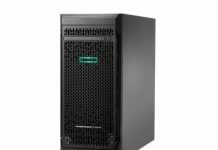 With the HPE MicroServer Gen10, one does not have access to iLO. Remote management tools have become one of the most important features to manage servers in data centers and the edge. The fact that the HPE MicroServer Gen10 does not have iLO we can understand. A one-off iLO Advanced license, like the one we used in our HPE ProLiant DL20 Gen10 Review, costs almost as much as the MicroServer Gen10. From a HPE product manager perspective, we get the trade-off. You save money on the BOM without the iLO SoC and associated components. You get a lower cost system as a result that also uses less power. At the same time, that trade-off comes with missing a key feature that we consider mandatory on virtually any other server. In the future, HPE needs to either utilize a generic IPMI solution here, or the company needs to have an iLO board with a lower-cost special version of iLO which is basic plus iKVM. Tens of dollars as an upgrade would make it a must-have feature. Hundreds of dollars for an iLO Advanced license to get iKVM is not worth it for most users here. Again, we understand the trade-off, but make no mistake, this is huge. Without iKVM if you are a SMB service provider or a corporation installing these as edge servers, an issue with the server likely will not be detected beforehand and it will require an onsite visit to fix. This is one case where a generic IPMI solution with remote reboot, sensor alerting, and iKVM can save a lot on a TCO basis. Since there is no management feature onboard, we had to use an external KVM device to remotely manage the server. That gave us the opportunity to show some BIOS screens since there are not a lot of information on this. 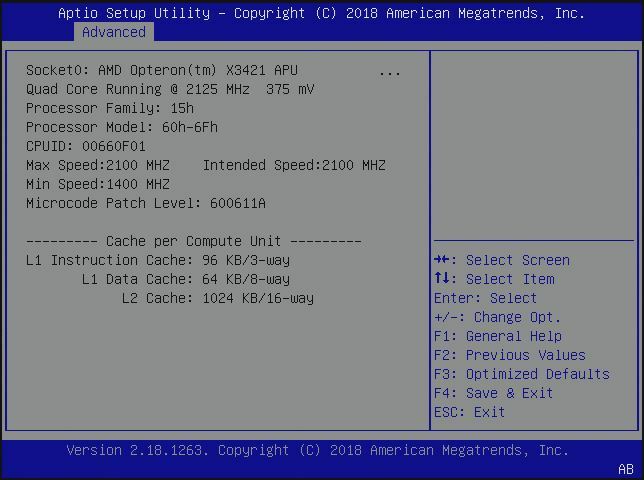 BIOS is a fairly standard Aptio American Megatrends setup. One can find basic information about the system, such as how the APU is configured. 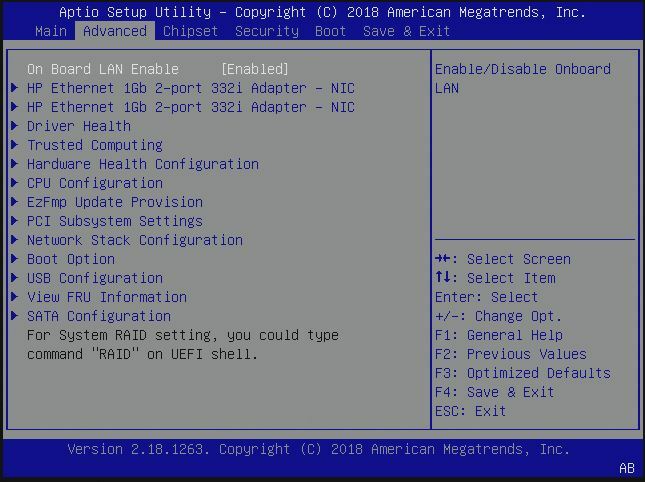 One can also set features like PXE booting. Here we can see the Broadcom NICs branded as HP Ethernet 1Gb 2-port 332i Adapter – NICs. 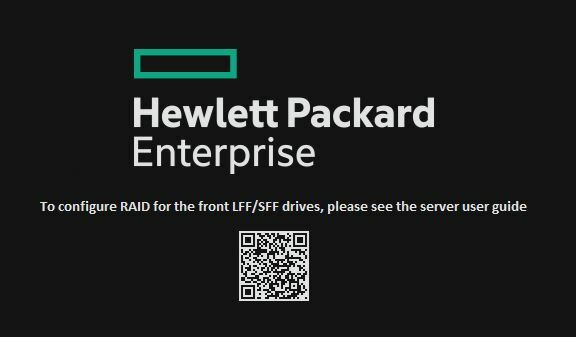 Note that this has not been changed to reflect HPE branding yet. 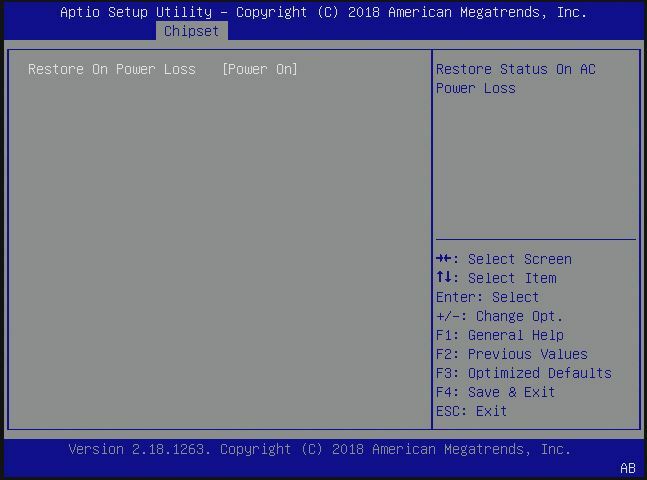 One feature that we wanted to highlight here is the Restore On Power Loss setting. This is one that we recommend to all of our users to set to Power On for their servers. If you do not do this, a power outage may cause the system not to turn on when power returns. 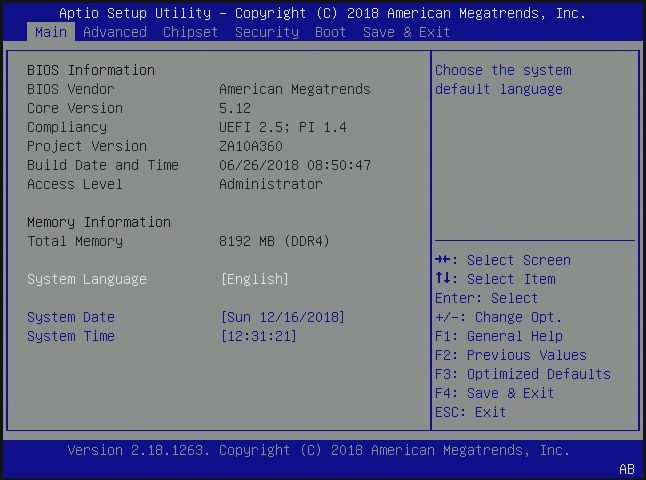 Our unit was not set to Power On so that is a primary reason we had to go into the BIOS to change the setting. Note here, this is not the same look and feel that you get with the higher-end HPE ProLiant servers. Instead, this is a more generic BIOS implementation for the lower-cost HPE ProLiant MicroServer Gen10. Now that we have looked at the server hardware and software, it is time to see the performance of the solution.